So what was the reaction of the German team and media? Was it for outlandish celebration? Would they be glorying in the victory? Are they contacting their agents to demand more money for sponsorship deals? Not so much as you’d notice. 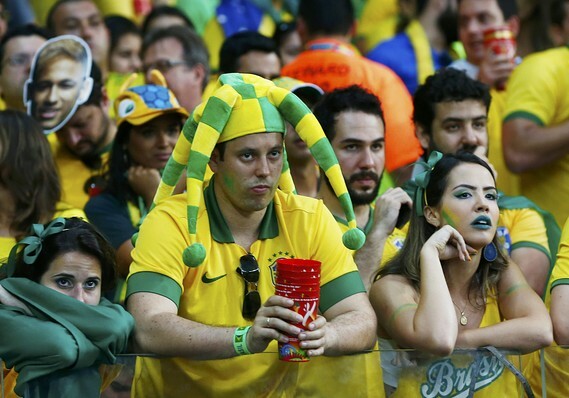 Of course it was a result that will inspire a thousand stories as fathers and grandfathers regale their offspring with the story of how the Mannschaft won 7-1 in Brazil, but all that will mean nothing if they then don’t go on and lift the trophy. And overwhelmingly, this is the German response to the victory that would have had England fans consumed – and probably consuming – for weeks. It’s a stance echoed by the German manager Joachim Loew. Calm and pragmatic, he recognised that “A bit of humility is in order now. We move on. We have to make sure we will stay focused.” It’s ‘job done’ for now, but all it has brought for the team is an opportunity to take the next step, the final step. It was a level-headed assessment also supported by Thomas Muller. The goal scorer recognised how sometimes the reactions to both defeats and victories can serve to distract a team’s energies. “After the Algeria game, they slaughtered us,” he said, referring to the press reaction in Germany. “Now they want to elevate us to the heavens. That’s the wrong approach. We are simply a pretty good team.” Probably somewhat better than a “pretty good team” Thomas, but the logic is undeniable. Strangely, and almost counter-productively, the score line had an inverse logic to it. Beating Brazil in a World Cup semi-final is always a bit special, and beating them comfortably, let’s say 3-0 or so, adds an even brighter gloss to the performance. The problem is however, that when you win by a score line like 7-1, you’re almost telling the world that your opponents were pretty weak. It’s like a footballing law of diminishing returns. There’s an optimum score to exert maximum request, go past it, and each additional goal diminishes the kudos rather than enhancing it. 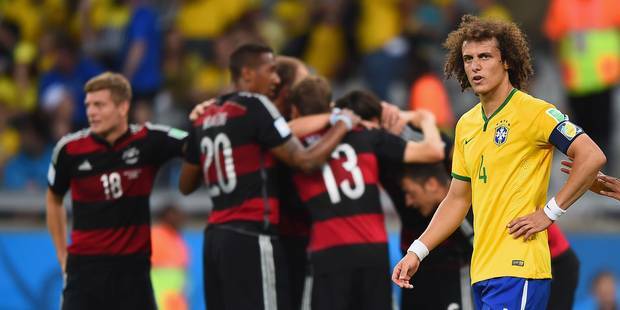 It’s theme Honigstein acknowledges, and uses a German saying that it was like Brazil were running onto an open knife. When you’re a “pretty good team” having your opponents disparaged when you overwhelm them may be a fairly common occurrence. Low probably won’t mind that however, if it helps to keep minds focused on the task in hand. Four years ago, Germany went into the World Cup in South Africa with a young team, determined to build for the future. Low is now reaping the rewards for that bold venture. This is no longer a team on the way. It’s a team that has a way, and knows that way works. There’s little doubt that it has arrived on the world stage. But not yet fulfilled.